“Fish as the locals fish” is a popular saying for those on the hunt for a trophy catch. Fish move, based on a variety of conditions and factors, and can often be found in different places from one day to the next. There are times when fish are very near to the shore, especially when crashing on a school of baitfish. Fishing piers are usually constructed in places that take advantage of these locations and can be a great place to catch some serious fish. Palm Beach has several excellent piers to choose from, though be advised, when the bite is on these quickly turn into the most popular of Palm Beach fishing hot spots. The Snook Islands fishing pier is the result of a tremendous restoration effort that has established roughly 15 acres spartina marsh and mangrove habitat. With the return of habitat, local fish have returned as well. Redfish, snook, and speckled trout are among the most popular catches here, though overnight tarpon fishing is certainly worth a look. The Lake Worth Pier has recently undergone a facelift as well. The rebuilt structure takes advantage of the Gulf Stream access close to shore and allows surf casters the opportunity to take home a trophy catch. A great place to catch snook and to experiment with new ways to cast for distance, the Lake Worth Pier is also home to snappers, pompano, and a few cobia as well. For those without gear, rentals are available on site with a bit of advice thrown in for free. An ideal spot for tourists and veterans alike, you may run into a local legend or two at this Palm Beach fishing hot spot. Okeeheelee Park spans 900 acres, holds two lakes, and has been a popular local secret for many years. It’s a great place to bring the family for the day with ample surf casting opportunities, kayak rentals, a vast trail system, and a wide variety of amenities to keep you busy. Fishing is allowed and encouraged by the park with numerous feeding systems designed to encourage a healthy and diverse population of fish. Bass and bluegill are two of the most popular species at this retreat. For those with lighter gear or a larger group, Okeeheelee is a great place to spend the day. When the fish are on the move, the best fishing spots in Palm Beach quickly move with them, and even the most accomplished of surf casters will be left empty-handed. To find and follow the fish you’ll need a capable craft such as the Release Boat. A fishing boat the best have come to rely on, the Release Boat is a tough and reliable boat that draws on a long legacy of tradition. Earning consistently high marks, the Release Boat is everything you need in a fishing vessel and then some. 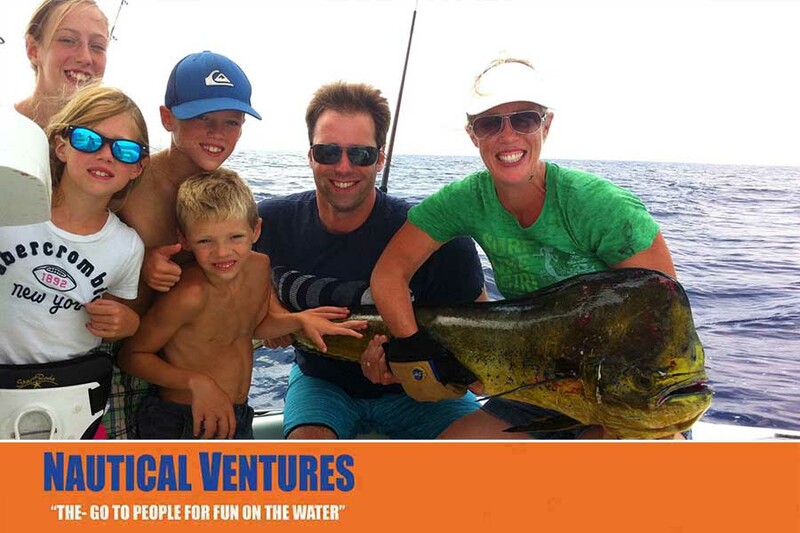 When the local hot spots have all run dry, and the locals are heading out to sea, head down to Nautical Ventures and see what all the fuss is about! With convenient locations and a huge inventory, Nautical Ventures has what you need to keep you ahead of the pack!